I really love the vanilla. The chocolate is ok . Western bike works are awesome. I received my order in a couple days. I use Recoverite after every hike and bike ride. Instead of collapsing on the couch after every experience, I can keep going the rest of the day. I'm 71 years young and have been using Recoverite for about 10 years. Recovery is Critical to Build for Future Breakthrough Success! 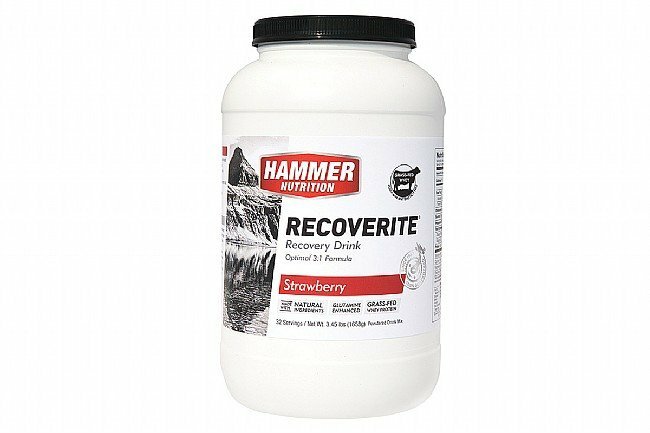 Hammer Recoverite is a very uncomplicated resource for muscle recovery in response to big training and racing efforts. 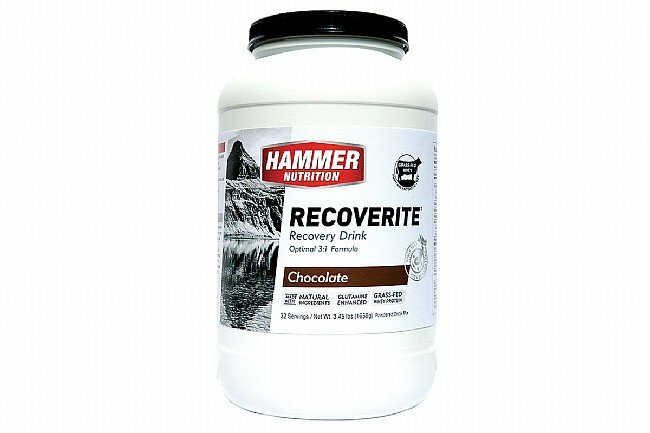 I've employed Recoverite for more than 15-years and typically make a recovery drink cocktail comprised of Hammer Recoverite, chocolate milk and any variety of Odwalla high-protein drink for intake after heavy exertion. This re-fueling properly sets the stage for my muscle recovery, rebuild and strengthening for the next workout or event to come. in 2017, from Ironman 70.3, to Leadville 100 Mtn. Bike and IM World Championship - Recoverite was essential in each legendary event. I normally get this product directly from Hammer Nutrition, but your prices were better and the shipping was less as well. 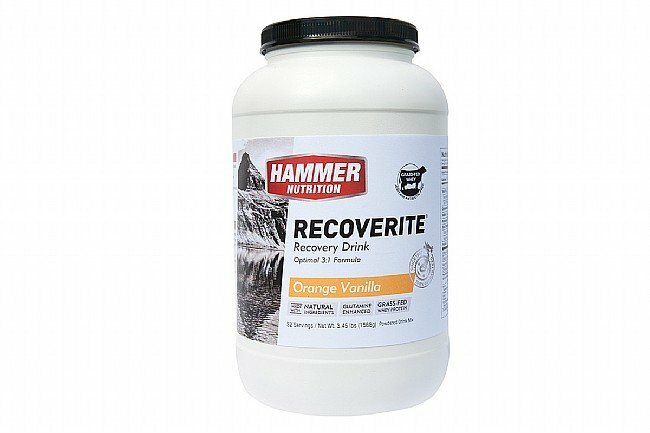 Hammer Nutrition sells a complete line of supplements and fuels for endurance activities. I've been using their products for over 20 years. 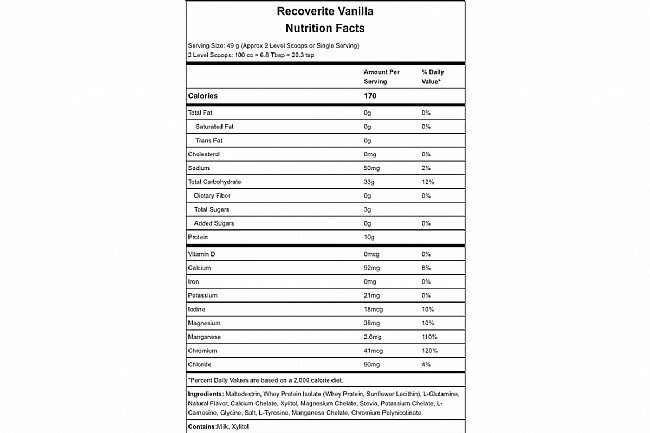 At this time in my life i am only using the Recoverite product since my activities are no longer endurance level. The Recoverite helps tremendously with preventing sore quads after a good hard 30 to 50 mile road escape. My go to recovery drink for many years! The taste, at least of the orangevanilla, is excellent. Reminds me of a creamsicle. The only improvement I can think of is the packaging. Perhaps a smaller, zip-lock bag would be more environmentally friendly. I take this after every high intensity ride, and I believe it helps my recovery by quite a bit. 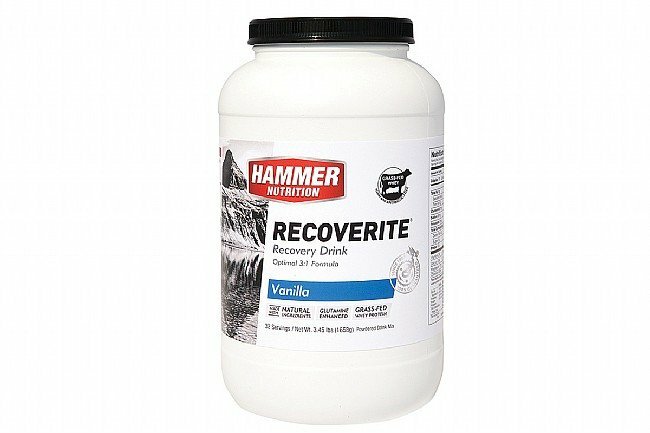 I use Hammer Recoverite after every long ride, intense training session, or race. Maybe the best thing about this product is how easy it makes my first step of recovery. This gives me exactly what I need in my first 30 minutes of recovery. I take the canister with me to races. Super easy to mix it up and chug it down in the parking lot after the race. I have been using this for several years. Excellent recovery product after workouts. Perfect combination of carbs and protein. 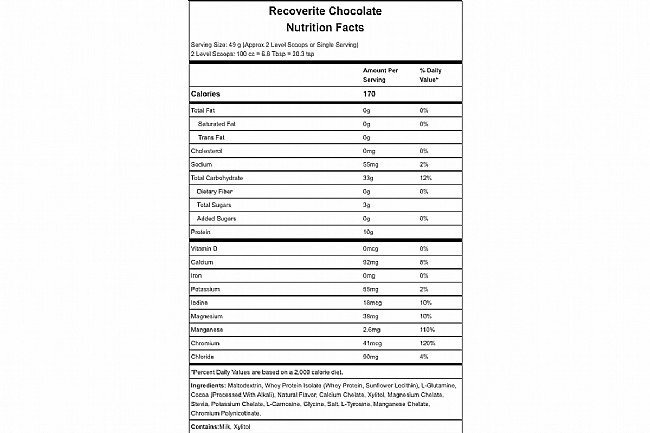 I've started using Recoverite after all cycling efforts and intense indoor workouts on the trainer and indoor rower. It helps my muscles rebuild after a hard effort. I use Recoverite after all my long rides and long runs. I notice a huge diference when I don't drink it. I bought a packet first and then saved it. One day I had a long ride and was really tired, so I mixed the packet with water and drank it. My energy returned and as it said, either eat a meal in one hour after drinking (which I did) or have another packet. In talking with fellow cyclists, I found some were putting this product in their water bottle, so now I do that. In my waterbottle I put half pure juice, half water and almost a full scoop of recoverite. As most rides have a lot of elevation gain, this makes the difference. I have a full scoop in water when I get home and the rest of the day is not lost trying to recover. I bought the strawberry. This has made a huge difference in my training and elevating my game in road cycling this year... by making recovery more about protecting and facilitating new muscle development. I use this after most 30 mile rides, in addition to a good protein rich meal. I use this as a recovery after weight training or riding. Seems to do the job. It mixes and tastes better than most. A little pricey though. I use for recovery after hard rides, also mix with heed (unflavored) for my drink during ride. i like the vanilla best, expensive, but works for me as does all Hammer products. Besides the price it's a good recovery product. I've noticed some minor differences when not taking it after my training. I've been buying the strawberry flavor and mix it with milk and tastes like strawberry milkshake. Would like to try the other ones but for now, I'll stick with what works. ...but the taste is too good. I mix it with chocolate almond milk (Blue Diamond) and think it tastes as good as any chocolate malt. Always have this on hand. Easy to drink, not hard on my stomach like other products, and can tell the difference in my recovery if I'm not taking it. I bought strawberry because I like mixing it with milk and banana (awesome combination). Buying 2 more to replenish my supply...running low. Only problem is the price. Before Recovery drinks, I was left in pain and suffering after a hard ride. Anything that really pressed me left me with no energy, or with actual pain after the ride. Once I started using recovery drinks, I can finish a century and go coach a soccer game, or do what ever else was planned for the day. HUGE CHANGE. Before I would be whimpering on the the couch, now I can get on with my day.